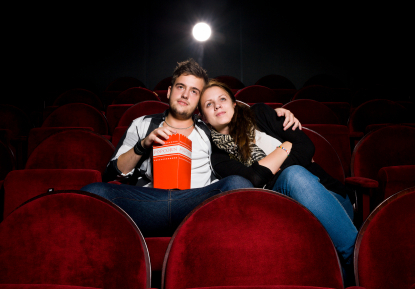 It’s Valentine’s Day and a couple are at a movie theater watching a must-see romantic movie. During the movie, the man continually dozes off but always wakes up before his girlfriend notices anything. This is their first anniversary and he doesn’t want to ruin it for her.